WASHINGTON, DC, December 21, 2012 (ENS) – The size of two national marine sanctuaries off the coast of north-central California could be doubled if the expansion proposed today by the Obama Administration is approved. After eight years of attempting to move a bill past Congressional Republicans to expand the Gulf of the Farallones and Cordell Bank National Marine Sanctuaries, the administration has turned to the public process to conserve these environmentally sensitive waters. “The waters off the northern California coast are incredibly nutrient-rich and drive the entire natural system and, for almost a decade, local communities have been petitioning their elected officials to expand sanctuary protection to these areas,” said Daniel Basta, director of the NOAA’s Office of National Marine Sanctuaries. The proposed expansion starts an 18-month process to increase the Gulf of the Farallones and Cordell Bank National Marine Sanctuaries from 1,350 nautical square miles to a total of 3,200 square nautical miles, from the Golden Gate Bridge to Point Arena, an area the size of Delaware. The proposal is the result of eight years of work by California Democratic lawmakers U.S. Senator Barbara Boxer, and retiring Congresswoman Lynn Woolsey, who have introduced legislation in every Congress since 2003 to expand the sanctuaries’ boundaries. “Jobs and livelihoods hang in the balance. Our commercial fishing industry depends on a thriving marine ecosystem. And our tourism-based businesses have an enormous stake. Believe me when I tell you that no one is going to vacation on the Sonoma coast if they are looking at oil derricks,” Woolsey said. “Our bill actually passed the House by voice vote in 2008, and thanks to the leadership of Senator Boxer it cleared the Senate Commerce Committee during this Congress. It has 82 co-sponsors. The local support is near-universal: we have a grass roots coalition that includes city and county governments, chambers of commerce, fishing groups, environmental advocates, all the way up to the Governor of California,” Woolsey said. “But the plain fact is that the Republican House majority will not debate or pass this bill,” she said. “At least 25 threatened or endangered species, including magnificent blue whales, humpback whales, northern fur seals, and leatherback turtles – California’s official marine reptile; spectacular living reefs of corals and sponges; one-third of the world’s whale and dolphin species; at least 163 bird species, including the largest colony of seabirds in the continental U.S.; and more than 300 species of fish, including commercially valuable salmon and groundfish,” Boxer explained. Boxer says the expanded sanctuaries will help preserve the half a million jobs and nearly $36 billion in economic activity that depend on ocean tourism, recreation, and fishing in California. “We applaud President Obama and NOAA for taking this initial step to make that happen. And we thank our members of Congress for working so effectively to make that come true, especially Congresswoman Lynn Woolsey, who retires as a ‘Protector of the Coast’ after Congress ends this year,” he said. During NOAA’s evaluation process, beach-goers, boaters, fishermen, whale-watchers, local businesses, chambers of commerce and state and local government officials will express their opinions about the best ways for the expansion to succeed. Bodega Bay Grange Hall, Bodega Bay, January 24, 6:00 pm. Point Arena High School, Point Arena, February 12, 6:00 pm. Gualala Community Center, Gualala, February 13, 6:00 pm. Gulf of the Farallones National Marine Sanctuary, designated in 1981, and Cordell Bank National Marine Sanctuary, designated in 1989, both contribute to ocean and coastal management by engaging in public outreach and education to promote stewardship, conducting scientific and applied research initiatives, and developing and supporting programs that strengthen resource protection for the long-term health of the region. Gulf of the Farallones National Marine Sanctuary encompasses nearly 1,300 square miles of ocean and coastal waters beyond California’s Golden Gate Bridge. The sanctuary supports an abundance of species including the largest breeding seabird rookery in the contiguous United States, and other species such as whales and white sharks. 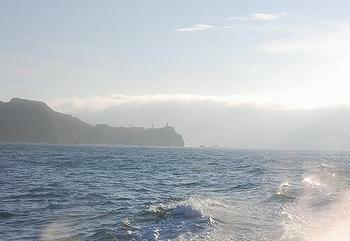 Visit http://www.farallones.noaa.gov. Cordell Bank National Marine Sanctuary, located 42 miles north of San Francisco, is a destination feeding area for local and migratory marine life. 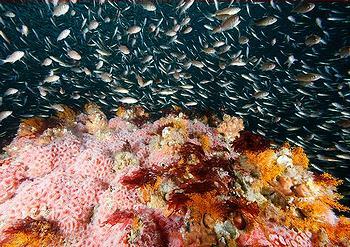 The sanctuary’s productive waters and unique undersea topography provide the foundation for a rich and diverse marine community. Visit http://www.cordellbank.noaa.gov.